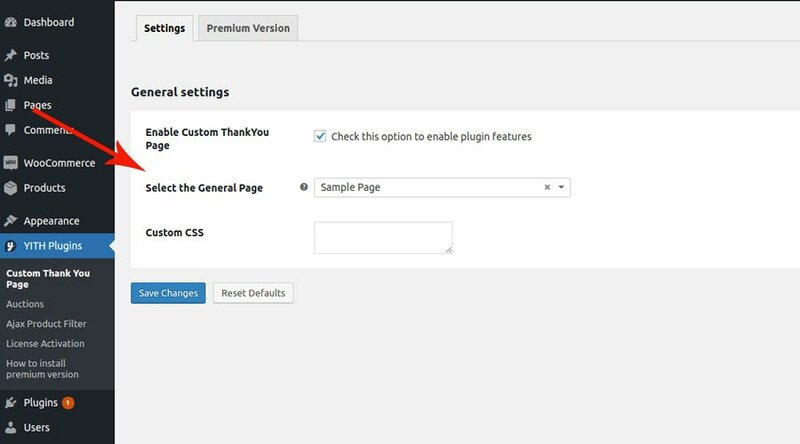 If you use the free version of the plugin, you can replace WooCommerce default Thank You page with any of the pages of your website. To set up a new Thank You page, go to YITH Plugins > Custom Thank You Page and select the new page by clicking on “Select the General Page”. From now on, your users will be shown the page you selected after any purchase.